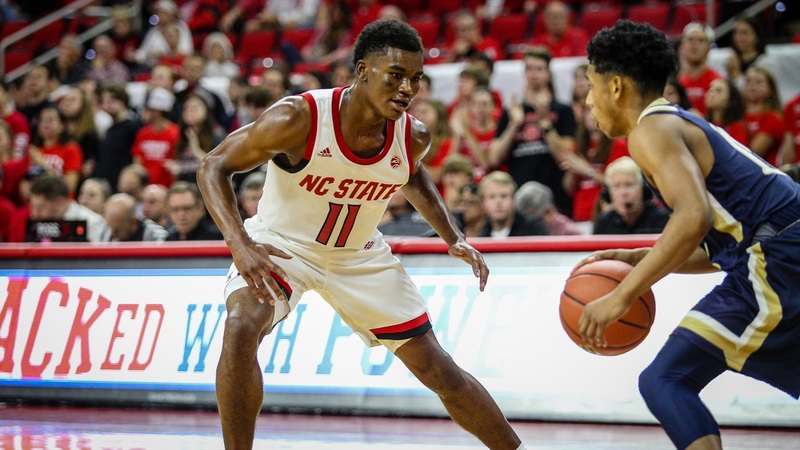 Each week I submit a Tri-Partisan column to WRALSportsFan.com and here is today's feature on how junior point guard Markell Johnson is so critical to NC State's season. A major question facing NC State prior to the season would be if the Wolfpack could find a go-to player. Who will it be? It's hard to be a contender in a league like the Atlantic Coast Conference without a true closer, a guy late in games who you can give the ball to and make a play or score a basket. Compounding the concern was the fact that NC State returned just three players from the previous season, and none really seemed to be certain to fill that role. Torin Dorn isn't your traditional wing in terms of scoring off the dribble and/or setting up other players, and Braxton Beverly is more suited as a complementary piece. Markell Johnson also returns from last season, but he hadn't really shown a willingness in the past to look for his shot. Ultimately, a closer not only needs the appropriate skill set, he also has to be able to turn on that “get-a-basket” mentality when necessary.